Starts Very Slowly then Boom! 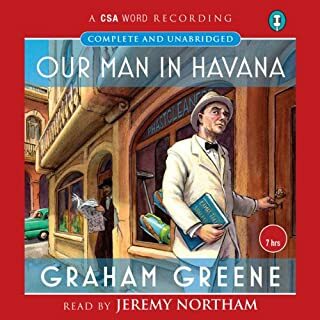 ©1978 Graham Greene (P)2014 Audible, Inc. I love Greene's subtle touch. Greene is a master at the muddy nature of man. He is able to tell an absolutely non-traditional espionage story that takes one of man's greatest virtues (gratitude) and shows that even this can be used/abused in a world full of bureaucratic vipers who are all comfortable in Weber's "polar night of icy darkness". Greene's plot erodes the romance and violence of the majority of spy novels and replaces it with amoral bureaucratic impulses. When reading any of Greene's spy novels, it is important to remember the answers are never easy and sometimes written with smoke. The poetry, however, of Greene's language slowly builds his arguments and counter-arguments and weaves a powerful morality play that left me feeling just as limited and corrupt as the rest of the world's pension-seeking spy-masters. Tim Piggot-Smith did a great job with this book. The audiobook requires a subtle reader. This is not a novel you can overdo. Tim did a great job floating on that thin line between reading and acting. Very enjoyable. 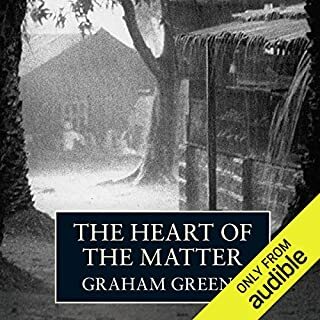 Graham Greene is a master storyteller with preternatural insight into human nature. As a previous reviewer noted Greene divided his works into categories of literature and entertainments. This story illustrates how rich and satisfying entertainment can (and could) be in the hands of true genius versus genre hacks that currently flood the market. A former member of MI6, Green's own supervisor was eventually found to be a double agent for the Soviet Union. Greene's depth of actual experience in the espionage trade colors all of his novels that deal with political intrigue. The most important factor of which is the lack of glamor and thrills that the job actually entails. Even his most humorous spy novel, "Our Man in Havana" is full of the bureaucracy and idiosyncrasies that plague the profession. This insight not only renders it all the more believable, it imbues it with a human element of fallibility. While we all might like to believe the propaganda of a well oiled government secret service, we're all aware that it is a leaky boat full of holes that miraculously doesn't sink. It's the dull daily plodding of betrayal and treason in the character of Castle that makes this book so riveting. Each character is drawn with such an unforgiving and keen view. Greene has breathed imperfection, beauty, and flaws into each creature he created in this novel to give life to the human factor. I highly recommend actually reading the novel, and all of Greene's novels. Greene's subtle and masterful use of language is a delicacy for the eyes, brain and soul to digest like a fine meal. In a sense, you'll cheat yourself by only encountering Greene through audio. However, once you've read them, audio offerings like this are an exceptional treat and a great way to re-experience the novel. I was drawn to this because Greene is my favorite author and because I adore Tim Piggot-Smith. I've been a fan since his amazing portrayal of Ronald Merrick in "The Jewel in the Crown." He is a fine actor, and while he does play an exceptional villain, it was nice to see him stretch his acting muscle in a different direction. He does a remarkable job in this offering. He is the first male audio book performer who I've heard read a female character really well. All the different characters are so uniquely portrayed, I was flabbergasted at Piggot-Smith's vocal acting range. This was a very slow audio book. I spent over a month with it. I generally prefer to listen to audio books as a multi-tasking kind of entertainment for manual tasks that don't engage my brain. This audio book was so engaging, it demanded a lot of attention and I found I enjoyed it more on my commute, walking, and before bed than I did while doing chores or arduous exercise. Very enjoyable and highly recommended! Greene details the mundane, human workings (physical and psychological) of a small group of MI6 workers during the detente years of the Cold War. These civil servants "listen" to Southern Africa, including apartheid era South Africa. All have to some degree or none a personal life. The main character is married to a former "contact" he worked in a South Africa township. The novel is very British in setting and tone. An antidote to James Bond fantasy, it doesn't have even the physical action/suspense of a Lecarre. But magnify Lecarre's intense characterization and psychological tension to come close to Greene's espionage. The psychological tension builds very slowly until the last third of the novel. 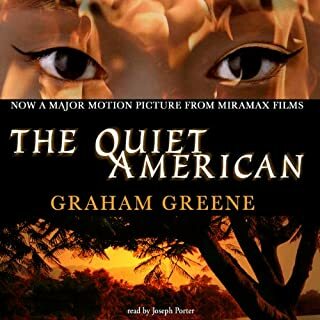 It's not as politicized as Greene's Quiet American, but like that novel, it concerns morality and amorality of choice, as individuals and collectivities. Irony abounds. Don't download this for "happily ever after" mindless escapism; however, it is an engrossing listen, and to my ears, one of the best narrated audiobooks I've heard. This possibly wasn't the best choice in the middle of a very cold winter when there is still no end in sight. It's the mood of the book already and it becomes too much. He captures the eroding of the human spirit that life in the secret service brings, which in his hands seems more destructive than actual physical harm. Everything is very well done and Tim Pigott-Smith as the narrator was masterful. One of his characters sounded very upper class British and made me picture Edward Fox playing the Duke of Windsor in Edward and Mrs. Simpson. Apparently it's a Mayfair accent. 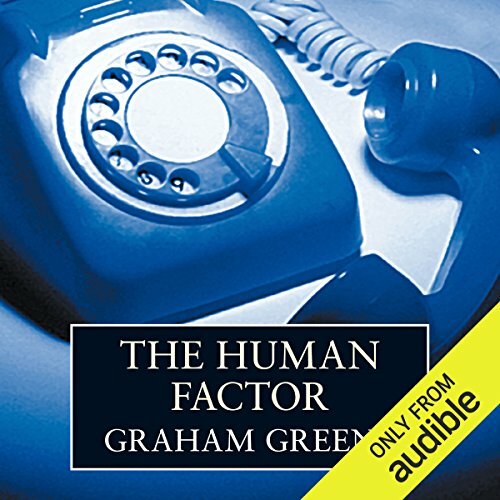 Would you consider the audio edition of The Human Factor to be better than the print version? No, but Piggot-Smith was outstanding portraying a range of characters from the reserved, cynical British, the bully white South African and the strong black African woman. I felt he understood the book and portrayed the emotions of the characters well. Greene as always presents a story with loads below the surface, enetertaining on face value but so much more beneath the veneer. Cynical, slow moving in parts and always with reserved humour the story builds and builds to its emotional climax. This is not just a spy story. Other authors may pack a bigger punch in their story telling but with Greene there is always more to think about after the tale is told. Is Graham Greene the most underrated author ever? This was Greene's last novel published during his lifetime. He famously said that half his novels were "entertainments," and this is one. But while most of the entertainments, very much including this one, are indeed entertaining, they also usually contain considerable insight. Again, this is no exception. In Greene's more famous novel, "The Quiet American," a book with many virtues, he displays an appalling blindness to the evil of communism. There is some of that in "The Human Factor," but not as much. Some of communism's warts, at least, are visible in this book. 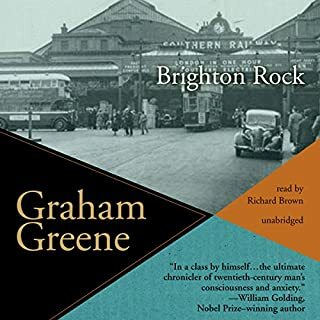 Of the Greene novels I have read, I still prefer the earlier ones: "The Power and the Glory," "Brighton Rock," and "The Heart of the Matter." But whether you are looking for entertainment or insight into the human condition or both, "The Human Factor" will satisfy. Huzzahs for Piggot-Smith for a very fine reading. Nobody wrote crime fiction better. He's the writer behind all the writers who follow him, even if (boy, is this influence) they haven't read him. He divided his work into entertainments and novels, this being an example of the latter. It's the entertainments that hold up the best, at least for me. The pleasure of his sentences, of his observations and rhythms, cannot be overstated. Then there's the grimy fact of it all. Reading him is like slow drowning in mud. His characters think their tip toes are about to find solid ground, but that ground soon shifts again, always shifts, under them. Only the really evil do well, because they don't love anybody and don't regret anything. He's considered a Catholic writer. If you want to know what people are talking about when they speak of Catholic guilt, Graham Greene is exhibit A. Like air bubbles in the murk, there's humor, stark and arid. I haven't quite reached the ending here, but I see where it's going, and I'm taking a little time out to brace myself. Alternately reading this and listening to it -- going back and forth, depending on where I was at the time -- I was so let down that I began to wonder whether the Greene novels I'd devoured years ago -- both his serious stuff and his so-called entertainments -- were really this fakey and artificial. I'll refrain from going into detail (as this title doesn't seem to be available on Audible anymore, and this comment seems destined not to be posted), except to note that the characters, action, and dialogue (there is plenty of the latter, in fact the book seems to be largely conversation) all seem as unconvincing as a Hollywood spy movie, as is the highly unlikely biracial love story on which the plot hinges. But Pigott-Smith does a magnificent job narrating, and it's a privilege to hear this talented actor speaking lines that seem far less believable on the page. Had never read a GG novel. How very English. Liked it alot. The ending ends abruptly, but on reflection it fits the story. Not very cheerful. This is perhaps the greatest spy novel ever written. Spy vs. Spy without the Cubby Brocholi explosions of James Bond films. Greene was brilliant to spin this yarn of tension woven with mundane day-to-day spy-business. I cannot believe this hasn't been redone into a film - other that the 1979 version. It's the perfect balance of spy-work, appartied politics, cold war paranoia. 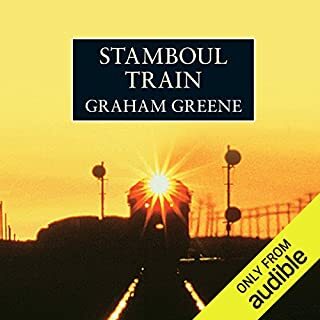 Although the cultural references of this Graham Green novel are rather out of date, the narration and characterisation by Tim Piggot-Smith is absolutely superb - really a one man radio play and he brings the story line completely alive. Interesting that the theme of inevitable disaster for the human spirit in the secret world , makes Le Carre the natural heir to Greene. A very good listen. Those of us who are Wilbur Smith fans already know Tim Piggot-Smith is amongst the top three or four audiobook performers whose names guarantee a great experience. Greene introduces you to the secretive world of MI6 without loosing sight of the 'human factor'. He places you firmly inside the heads of the characters, fleshing them out while at the same time creating disturbing sense of oppressive life they live. No one creates more realistic characters than Greene; you don't question their authenticity for an instant. A must for all Flemming and L? Carre fans. Ostensibly a spy story but more one about duty, obligation and responsibility clouded behind a British reserve to never say directly smything that can be hinted at instead. Petfect for a spy story. Old fashioned in many ways particularly bearing in mind the tech nature of so many current spy stories. No mobile phones, no satellites, no tracking devices. Considered, thoughtful and rewards the patient listener. Shot through with much humour which sits wonderfully against the backdrop of the stilted lives lead by most of the characters. The character studies are the real genius of the book. Each of them are well drawn, fully rounded and keenly observed. Best of all is Tim Pigott-Smith's narration. I cannot praise it enougjh. Beautifully read and adds so much to the enjoyment. His ability with accents is fantastic - I particularly enjoyed Dr Percival and Castle's mother. Just listening to them brings a smile to your face. More Graham Greene and certainly more Tim Pigott-Smith. Stunning performance of a tender book. TPS' performance is brilliant. I loved his voices as Danetre, 'C' and the doctor. The book is thoughtful and provoking. not Green's best. but diverting. I haven't read enough Graham Greene, but this spy novel - of course it's not about spying, it's about the damage and futility it can cause - is quite magnificent. Don't expect James Bond or even Le Carre - the actual spying is almost incidental, here. It's about sorrow, paranoia and loneliness. Also, the Owl scene is one of the funniest I've listened too in an otherwise mannered, dramatic book. Tim Pigott-Smith is great, even if his characterizations do sail a little close to impersonation sometimes. 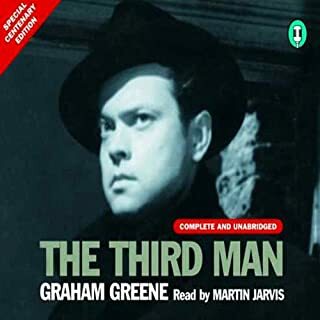 Graham Greene in true form, also very well narrated by Tim Piggott-Smith. Engaging from start to finish. Simply brilliant. A great story. I loved this book. A riveting story brought to life by superb narration. Tim Piggott Smith is absolutely faultless. A tour de force! Highly recommended. Really enjoyed it, engaging plot and well-read. Greene is a master and portraying characters without drawing them. Once started , I couldn't put it down. a tale of intrigue and surprisingly of love ! The end - I didn't want it to end!